Intelligent sector means to only back up the used sectors of the file systems, and it can help to decrease the size of the image file and also to reduce the backup time. Intelligent Sector Backup: Only backs up the used sector of file systems. This will reduce the size of image file and backup time. 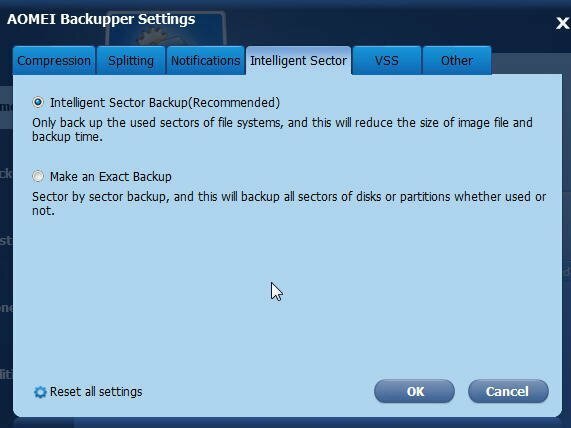 Make an Exact Backup: this method is also called Sector by Sector Mode. This will back up all sectors of the disks or partitions whether they are in use or not.